Tired of the staring contests that you get into with tarot courts? 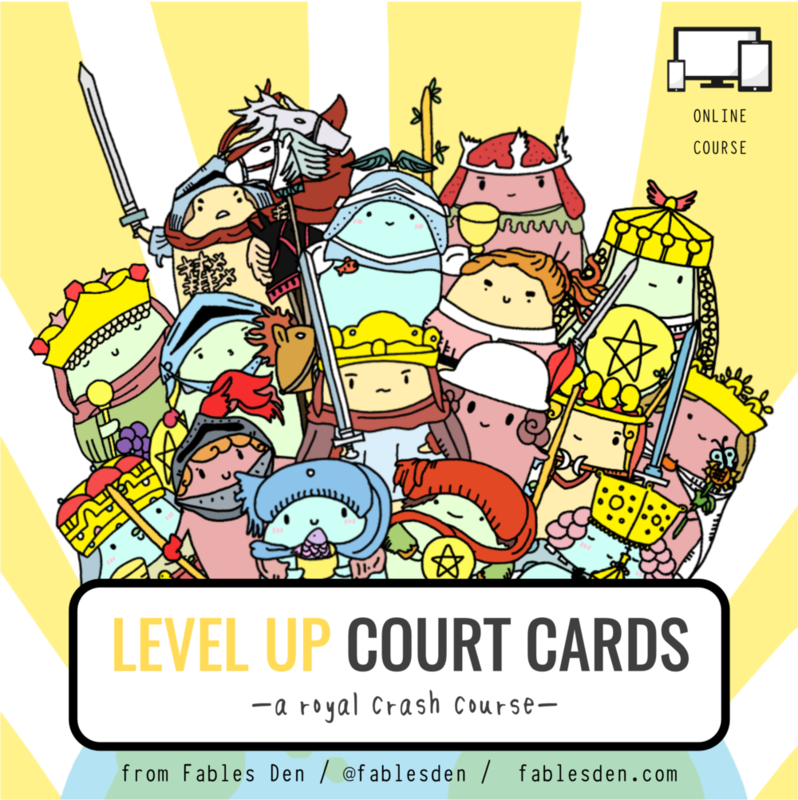 Well, this story rich + concise crash course on court cards will help you break the ice with the tarot royalties and turn you into ultimate besties in no time! Why leave this spread crafting business to others - when you could be creating our own perfect spreads on the fly instead!? I don't know about you - but that sounds ultra suh-weet to me! With this course, you, too, will become a creative powerhouse & the Ultimate Tarot Spread Machine! Embark on the ultimate epic quest to level up your tarot skills - guided by our trusted Fool, who will lead you to meet the archetypal gods - the guardians of the Tarot Kingdom - the Major Arcana, help you tour the four Elemental Kingdoms (the Minor Arcana suits) and even arrange a meeting with the Tarot Royals (Court Cards)! On this exciting quest, you will learn tarot through the lens of creative storytelling which will help you memorize all 78 cards of tarot. Fun + super easy! COMING IN 2019 - 2020. A course for cardslinging storytellers + how you can use tarot cards to build your fictional world, explore your story theme, develop plot and craft characters. Not to mention: explore your creative identity and revamp your creative + productive process!